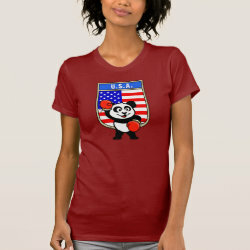 This darling little panda bear is too cute! Panda is wearing boxing gloves and he's ready for a match! 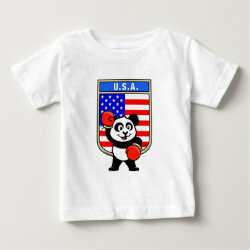 This adorable design is perfect for boxers and boxing fans. 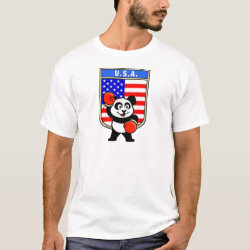 Support the American Boxing team with this cute boxing panda shirt!